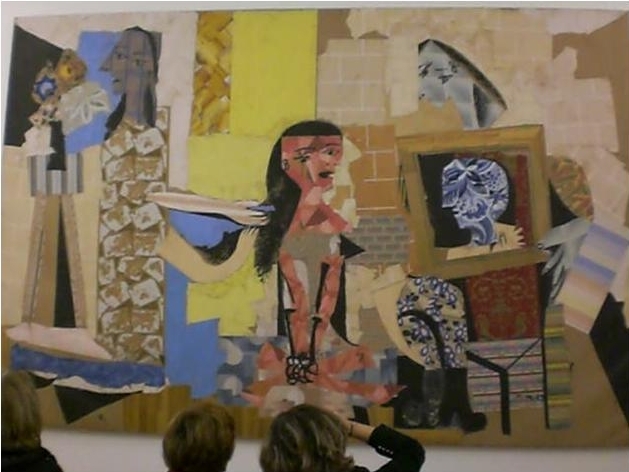 I read two blogs recently about Picasso exhibitions and the system conditions in which the paintings were being viewed. Forest Knolls, blog is about a show at the de Young Museum in San Francisco. I was interested in the comment about making do with a photo of the exhibition poster because photography inside the gallery was prohibited, hence the picture of the giant poster of the small painting (an image of an image of an image). The other blog, at The Painting Space is about the first time a Picasso has ever been shown in Palestine. Buste de Femme, 1943, is at the International Academy of Art. Two years in the making, this exhibition is an “exciting opportunity to build a new international cultural dialogue in the occupied territory of Ramallah”. The conditions in which the painting will be viewed are very different to the two examples above. As well as the big system condition of occupation, there is also the sub-system that only three people at a time will be able to see the painting, in a purpose-built viewing room, so the picture does not get damaged by the humidity. The blog includes a short film of Slavoj Zizek in conversation with the organisers. He has some really interesting things to say and he tells some great stories. I am not always sure I can connect them to the subject of the exhibition (one of the many things I love about his work). I saw this two-years-old-blog-post recently, I had been re-reading Peter Fuller’s Beyond the Crisis in Art and blogging about it. (Slow Painting continues to be a good blog by the way. It reads like a press digest of what’s going on in art). What a good photo of Fuller this is! Then, a year after the blog post, there’s a comment by Wallydevilliers that suggests that the role of the critic is to find what’s really good and bring it to our attention. Good point. However, Fuller’s refusal of so much that was going on when he was writing was not really bad publicity (I recognise that the comment was actually about Robert Hughes in relation to Damien Hirst) the publicity had already been had. 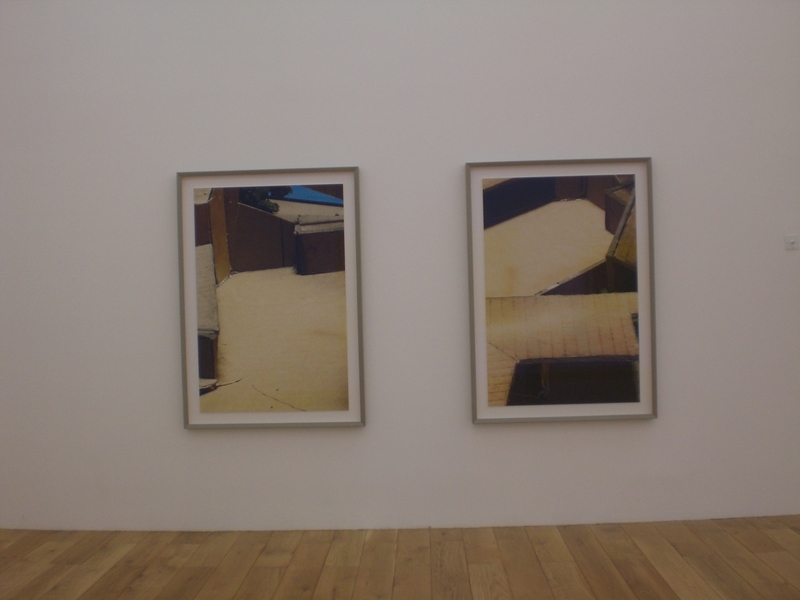 He was interpreting the meaning of the art works and establishing a position within a Marxist framework. So, reading Fuller was also a way of learning about Marx and socialism (he was just as critical of the positions taken by the Left as he was of the art) and I think he was a good teacher. He also showed us how to criticise. I don’t always agree with his judgement, but I do find his approach, and his commitment to imagining a world different to the present one, to use an old-fashioned word – edifying. It is that committed position that I think exemplified his approach and that informed his understanding of the role of the critic: not to entertain but to imagine. I visited wanting to see abstract art yet knowing I would be seeing photrealist paintings of cars, so I really wasn’t expecting to like what I saw. In an earlier blog I commented on this painting. There are 18 paintings on view, shown more or less in chronological order, the first room with earlier work, paintings with images taken from catalogues, close-up cars, monochromes in red like Bride 1969, or grey like Sports Wagon 1969, the open door or window creating a frame through which to view the interior, and then the car wrecks of the early 70s: Falcon (Patchwork Surface) 1971, Desert Wreck, 1972; Pontiac with Tree Trunk, 1973. 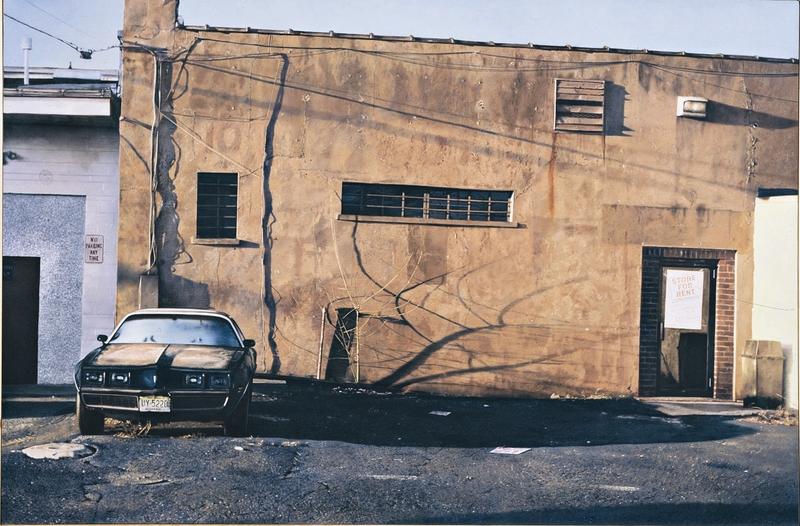 The second room has the more recent works, from the eighties to the present day, vehicles now more abandoned than wrecked, and shown in landscapes, usually a car or caravan, in its immediate surroundings. At first I was frustrated at being unable to find much evidence of paint being worked or the artist’s touch. I thought I had found actual brush-strokes in Falcon (Patchwork Surface). Did I have the impression here that the artist actually enjoyed painting the surface? Then, I realised that the the surface being worked was the car body, with spray-painted graffiti. Those painted gestures looked like they had been enjoyed! And then photographed and then painted, or rather airbrushed. I attempted to inspect the canvas edges for evidence of painterliness, only to be thwarted by the aluminium frames, tight to the stretcher. Then, once I had resolved to stop messing about looking far what wasn’t there and to enjoy the work for what it was, the first thing I noticed was the calm. 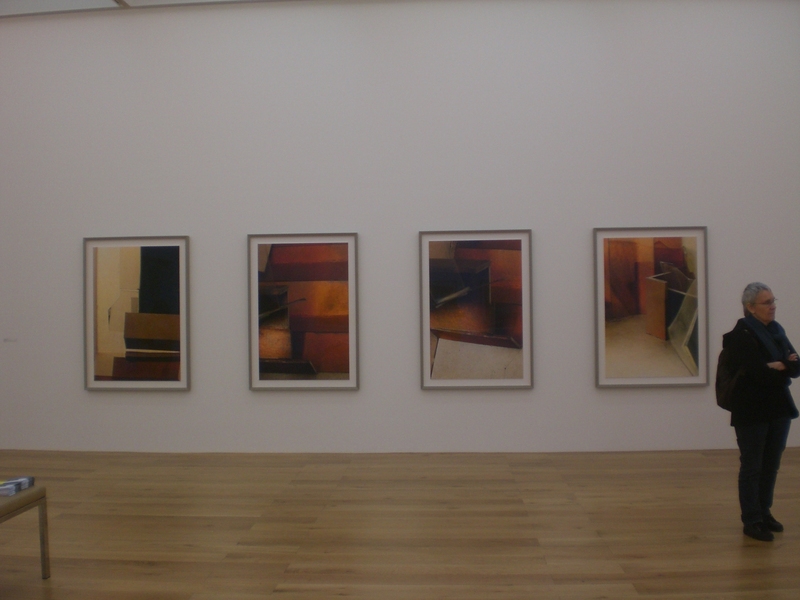 Galleries are not noisy places, but these works seemed to elicit a quietness that was more than gallery quiet alone. I think it was my emotional state, rather than the physical environment. The paintings are still, still lives in a way, yet they are also memento mori, or as Dieter Roelstraete says in the gallery booklet “that type of still life that is much more eloquently rendered as nature morte“. The Car not as status symbol,shiny and triumphant, but as wrecked, decaying, lonely or abandoned. Although, according to the booklet, Salt claims not to be offering any social comment I agree with Roelstraete that it is difficult not to find here a comment on capitalism and its future. What I don’t find is anything about imagined alternatives. I think I read somewhere in Zizek the criticism that we find it easier to imagine the destruction of the planet than we do to imagine a future alternative to global capitalism.